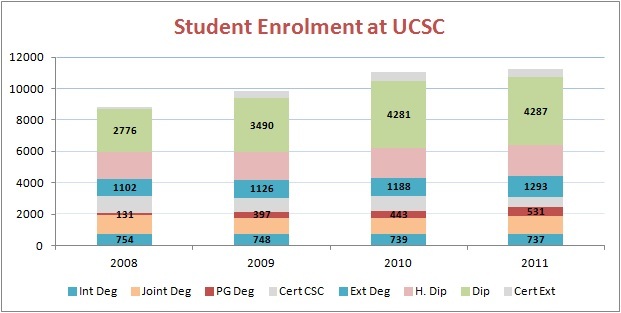 UCSC provides access to Higher Education in Computing through Internal Undergraduate Degrees, Research & Higher Degrees and External & Extension Programmes. UCSC offer three internal degree programmes in Computer Science (with 3 and 4 year opions), Information Systems (3 and 4 year options) and Software Engineering (4 years). UCSC also offers five Joint Major Degrees with Faculty of Science inÂ Bioinformatics, Computational Chemistry, Computational Physics, Mathematics & Statistics with Computer Science and Statistics with Computer Science. UCSC offers three Masters degree programees in Computer Science, Information Technology and Information Security. UCSC also offers a Joint Masters Degree with IBMBB in Bioinformatics. UCSC offers an external degree in Information Technology and many short term courses to meet the industry needs.